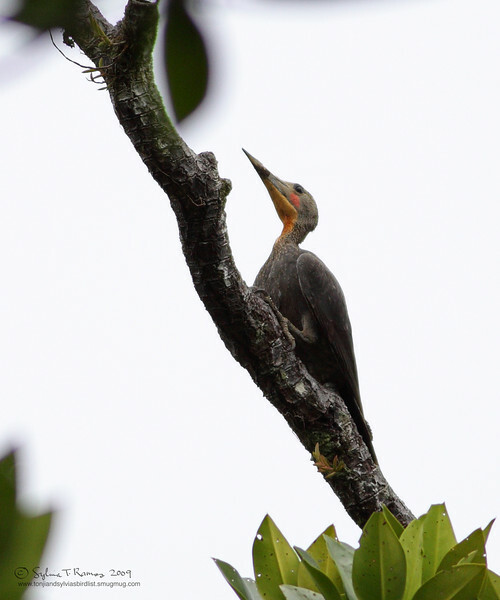 We spotted this bird on our second trip to the mangrove areas. Its a big bird with a loud call. This is the largest of all Philippine woodpeckers. It is uncommon. We went back to the mangrove on our last day in Sabang. We were in a boat, in birding attire, with a boy rowing for us and.. his little 1-year old nephew that was making a lot of sounds and dressed in all red! So much for blending in!